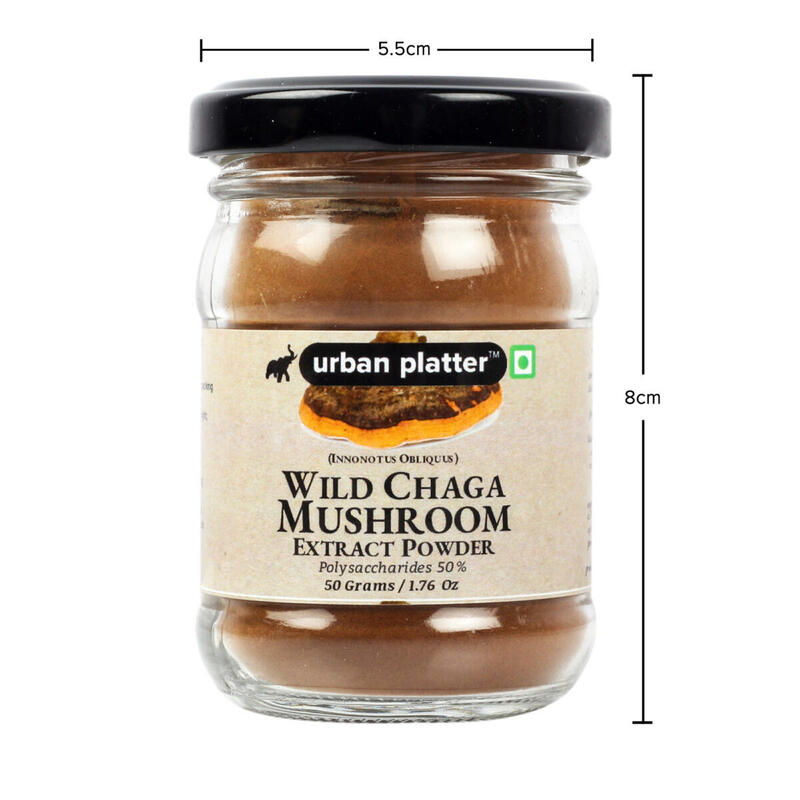 Chaga is a unique fungus which grows wild on birch trees throughout North America, Eastern Europe and Asia. 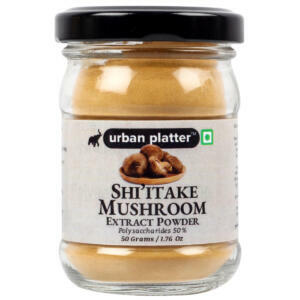 It is believed to be one of the most powerful healing fungi found on earth and is often heralded as the 'diamond of the forest'. 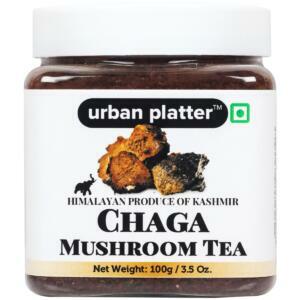 Chaga has shown to have powerful immune boosting, skin nourishing, antioxidant supportive, and energizing effects. 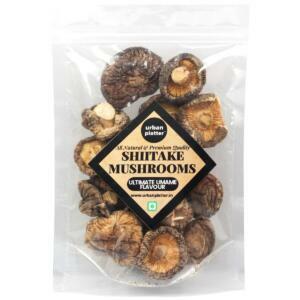 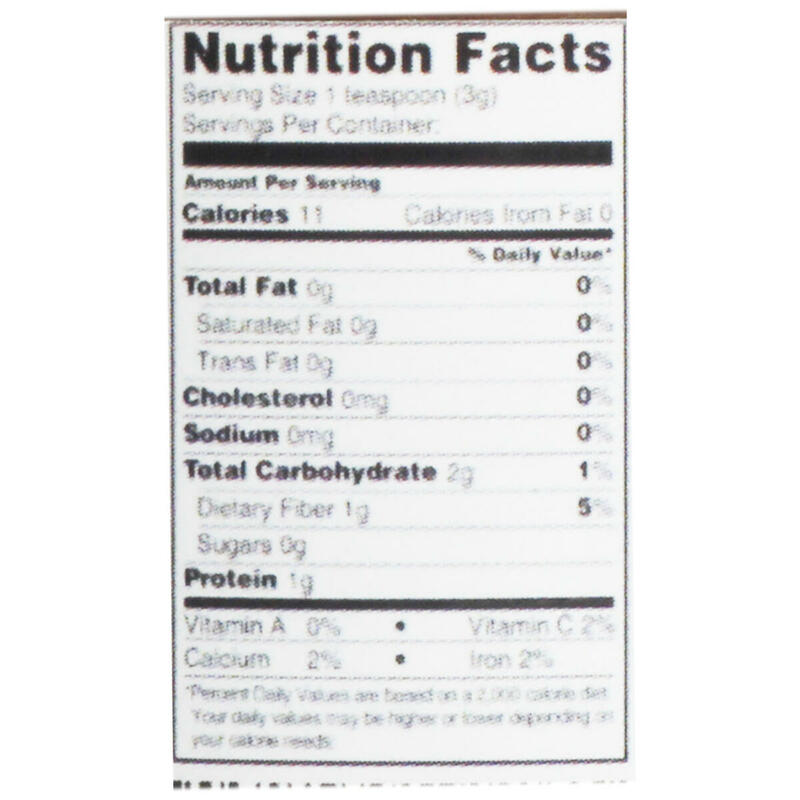 It is also a good source of vitamins and minerals which make it one of the most alkaline foods. 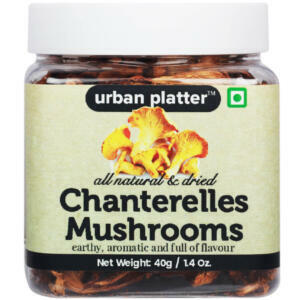 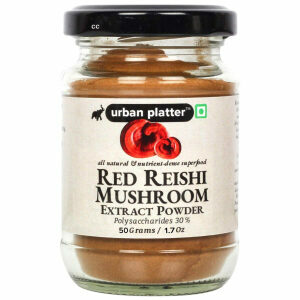 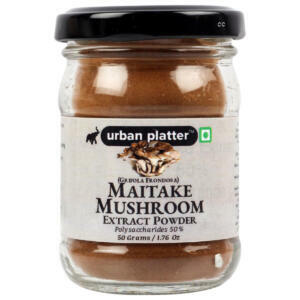 This extract powder to be added to your favourite teas, juices, and smoothies. You can blend half to one teaspoon of the powder into warm water, and add some almond or coconut milk and a pinch of cinnamon for a delicious creamy tea with an earthy taste. 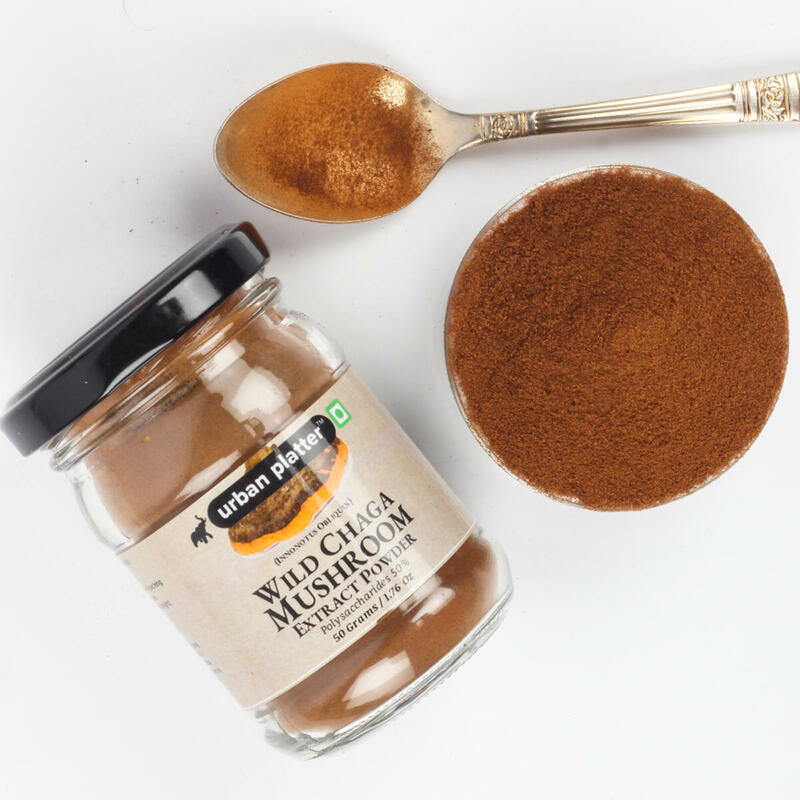 Chaga can also be added to sauces, soups, salad dressings and sprinkled over dishes. 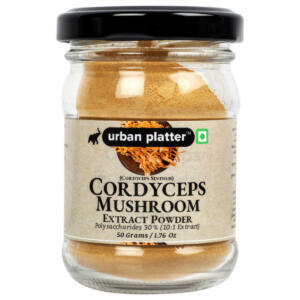 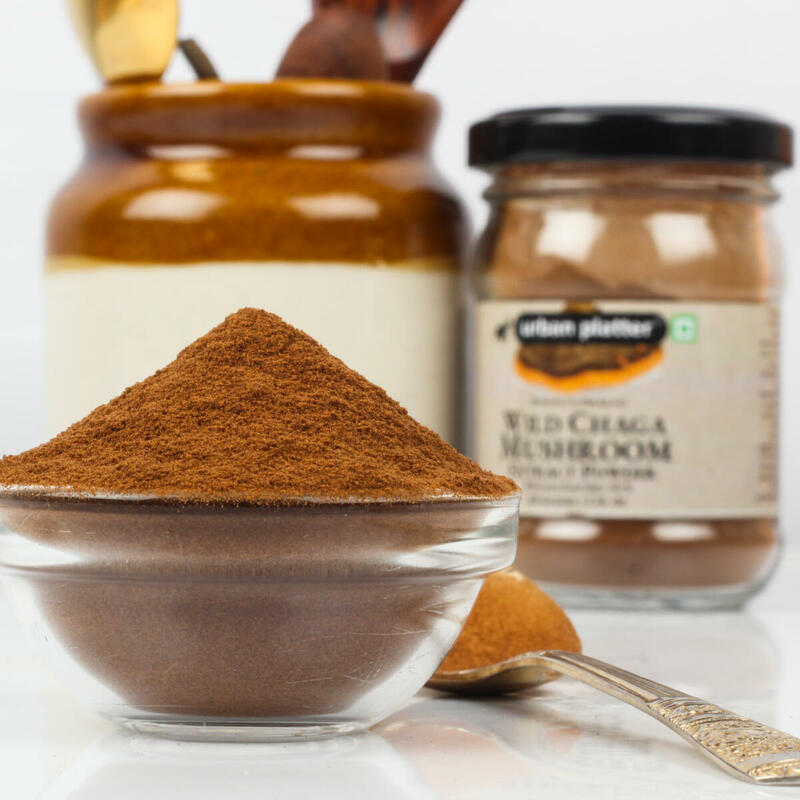 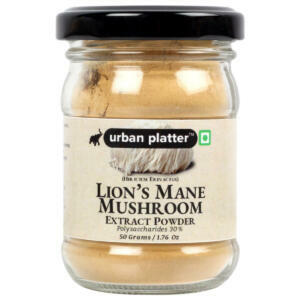 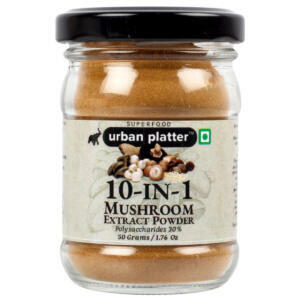 Urban Platter Wild Chaga Mushroom Extract Powder, 50g / 1.76oz [Innontous Obliquus, Antioxidant, Mineral Rich] Chaga is a unique fungus which grows wild on birch trees throughout North America, Eastern Europe and Asia. 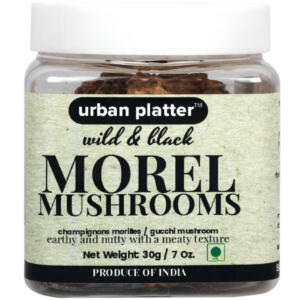 It is believed to be one of the most powerful healing fungi found on earth and is often heralded as the 'diamond of the forest'. 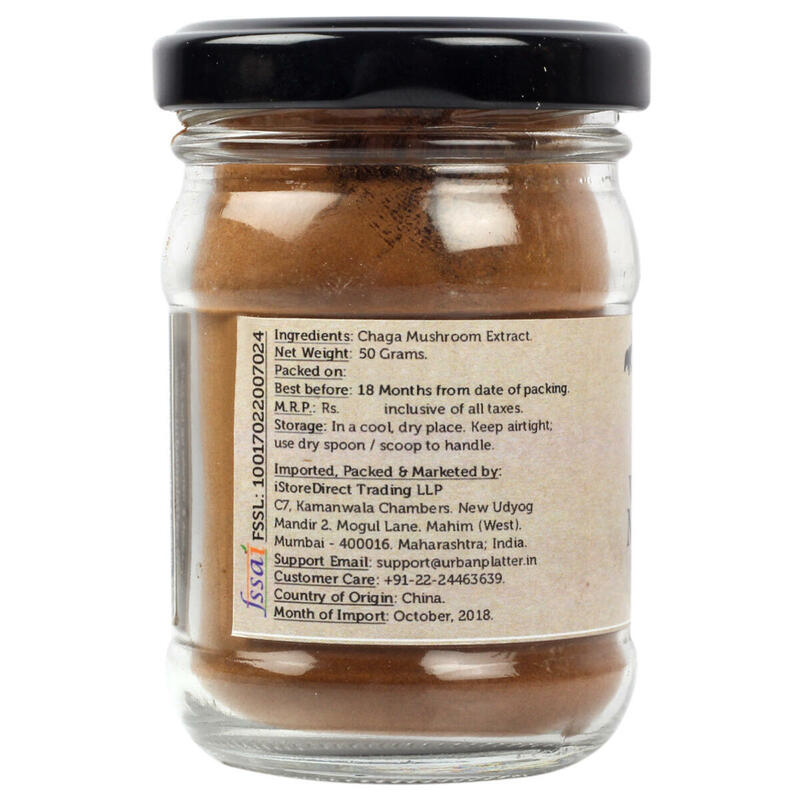 Chaga has shown to have powerful immune boosting, skin nourishing, antioxidant supportive, and energizing effects. 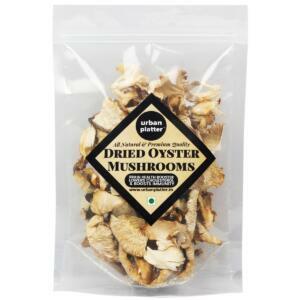 It is also a good source of vitamins and minerals which make it one of the most alkaline foods. 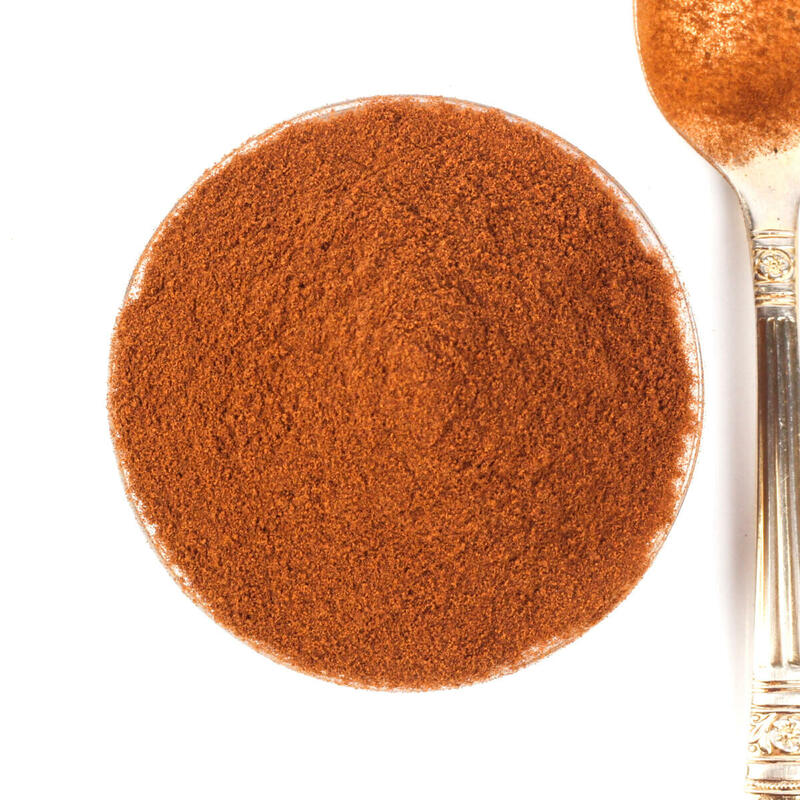 This extract powder to be added to your favourite teas, juices, and smoothies. 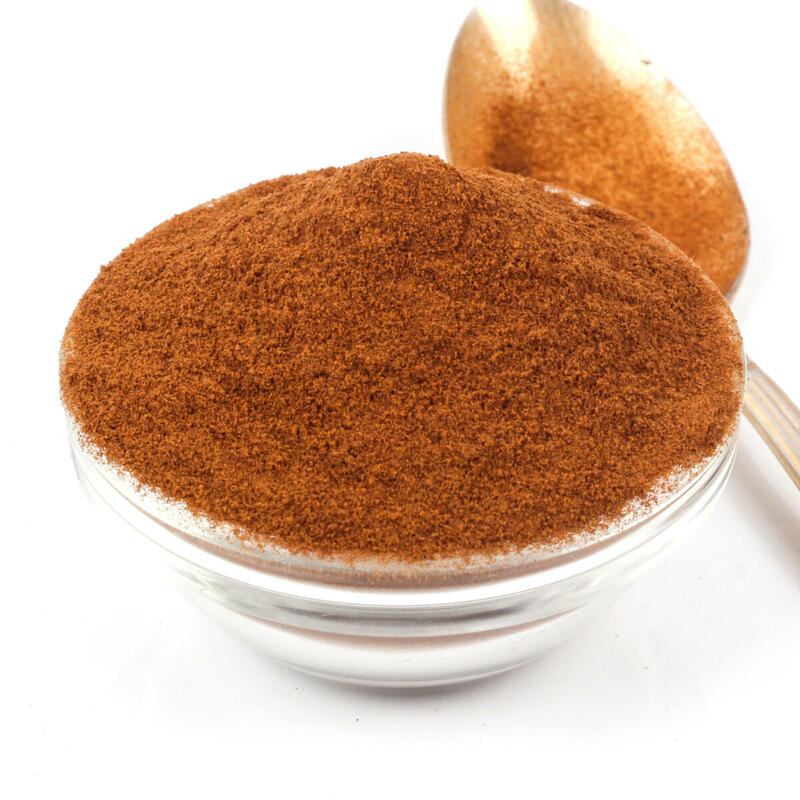 You can blend half to one teaspoon of the powder into warm water, and add some almond or coconut milk and a pinch of cinnamon for a delicious creamy tea with an earthy taste. 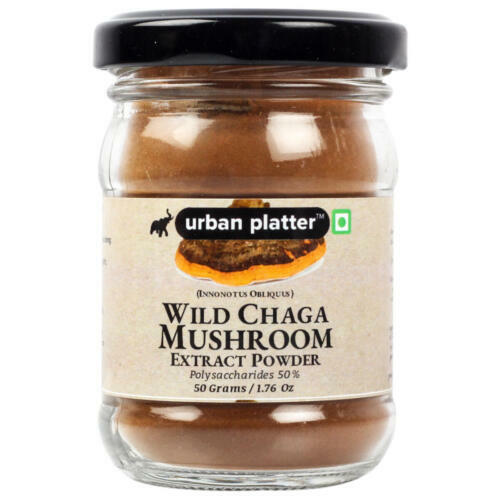 Chaga can also be added to sauces, soups, salad dressings and sprinkled over dishes.